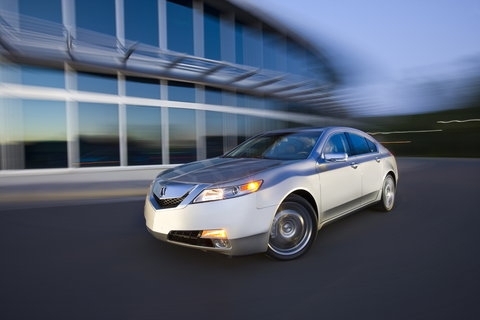 Acura performed a major overhaul on the brand’s sales leader, the TL, for 2009, which essentially means that it has had only minor changes for 2010. Some may be crestfallen that they’ve diligently stuck to the exterior design that seemed to scandalize so many fans, and with its sharply angled beak and tail, the TL does strike an aggressive – and perhaps overly styled – look. Though if you’re more concerned with what’s on the inside, you’ll find some serious new hardware for this generation, especially in the Super Handling All-Wheel Drive (SH-AWD) trim, which for all intents and purposes replaces the TL Type-S (another controversial move). Don’t be fooled by the name, the all-wheel drive system is just the tip of the iceberg when it comes to upgrades. A 3.7-liter V-6 engine replaces the 3.5-liter in the base TL and delivers more power – 305 horsepower and 273 lb-ft of torque – than any production Acura before it. Damping force has been increased and the ride is stiffer overall. This year also sees the addition of a six-speed manual transmission, smartly coupled with hill start assist. There are some disappointments, mainly found in the interior, but a starting price of $38,000 for a luxury sedan might just win you over. The powerful engine is a highlight, but the handling is where the TL SH-AWD shines and the all-wheel drive system is one of the best. A highly anticipated manual transmission helps drivers make better use of the engine’s capabilities as well. Nicely packaged options ensure the sticker price doesn’t rise beyond budgets. 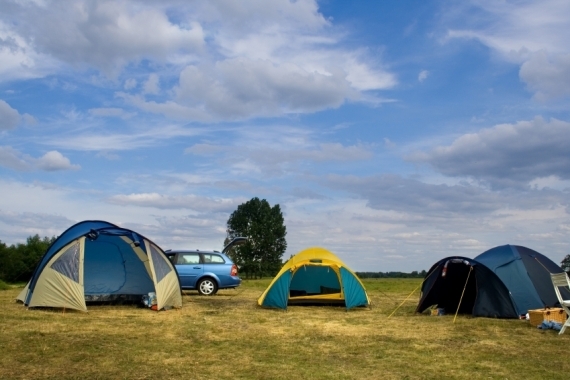 We’ve said it before, and we’ll say it again: the exterior design isn’t for everyone. However, neither is the interior, which could benefit from a reduction in buttons and knobs. The creation of a more powerful and tech-laden TL means Acura has essentially priced out its own RL. No one likes sibling rivalry. As mentioned, the TL SH-AWD’s 3.7-liter engine puts out more power than any production Acura to date. It’s a testament to the increased engine output and stiffening of the ride that the nearly 4,000 lb car doesn’t always feel as if it’s bringing every ounce of its weight into corners. The AWD system manages to keep the TL stable and grounded when cornering, but straight-line speed suffers because the system tends to deliver power to the front wheels during times of quick acceleration. Power is best delivered at high revs, which makes the short first gear a bit unsatisfactory. However, shifting into the long second gear (should you opt for the new short shift manual gearbox) delivers high-pitched, high-revving fun. You’ll notice that steering is lightened at lower speeds and heavier at highway speeds, but in either case it never loses its directness. 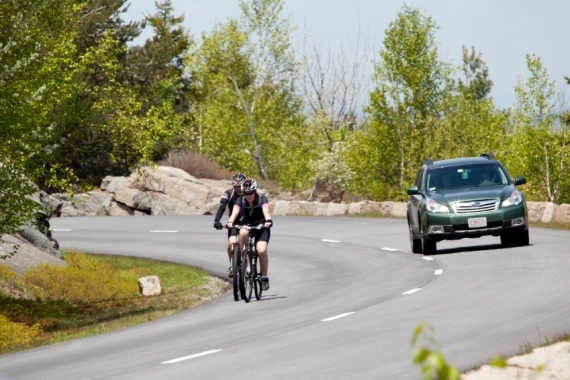 Hill start assist, standard with the manual, reduces the pain of rolling back on hills too. A 3.7-liter V-6 engine sends 305 horsepower and 273 lb-ft of torque to all four wheels, thanks to the Super Handling All-Wheel Drive system. The system analyzes the TL’s drive conditions to determine how much torque to send to each wheel, keeping understeer and slip to a minimum. Transmission options include a six-speed manual with hill start assist, which stops the TL from rolling back on hills when the brake is released, or a five-speed automatic with Sequential SportShift and paddle shifters. We’d highly recommend opting for the Technology Package, which, in addition to the features mentioned in the section below, upgrades the seats to leather and includes keyless start. Without it though, you’ll still have access to a moonroof, dual-zone climate controls, Bluetooth connectivity and iPod integration. The TL’s technology can be found mostly in the aptly named Technology Package, which bumps the price up to $42,385. This includes a fantastic 440-watt ELS surround-sound audio system with nine speakers, an eight-inch subwoofer, in-dash CD/DVD player and XM radio capability. The voice-recognition navigation system is also included when you add the package, and it provides highly useful Zagat restaurant ratings, real-time traffic and weather and a backup camera. We love the system but the graphics have aged quite a bit. It will be nice to see a new generation soon. 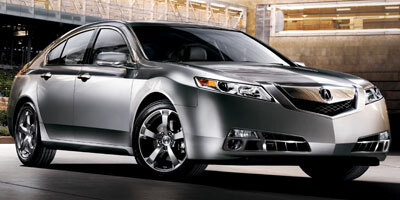 Like many of its competitors, Acura has put in effort to eke more fuel efficiency out of its mid-sized sedan. It may take premium fuel, which will add to your gas costs, but the TL does return 17 mpg city, 26 mpg highway with the automatic and receives an additional mpg per category with the manual. It’s been given a ULEV-II emissions rating by the EPA as well. While we like some of the interior touches like the brightly lit gauges and hooded navigation screen, the number of buttons has reached an alarming level. Streamlining the functionality of some would dramatically clean up the look. The cabin space is quite comfortable and 13.1 cubic feet of cargo space will give you plenty of storage room. 2009’s redesign brought with it a polarizing exterior design that includes a pinched rear end and pointed beak. The dramatic angles don’t stop there, but rather sweep from the jutting front bumper along the chiseled beltine. 18-inch wheels come standard on the SH-AWD, and 19-inch wheels are available. As a fairly well-priced luxury sedan starting at $38,655, the TL SH-AWD finds itself straddling two segments with no real direct competition. Its size and power output put it in a category with larger, more expensive vehicles like the $50,200 Audi A6 3.0T, but it seems to be best compared to the $42,600 BMW 335i xDrive, $47,550 Lexus GS 350 AWD and the $36,050 Infiniti G37x. There may be some controversial elements to this car, but Acura doesn’t seem to be apologizing for their choices. They’ve created a bold, powerful, aggressive looking TL that will easily find its niche among Honda and Acura fans alike, though we worry that interior styling and its place in the market may confuse buyers.